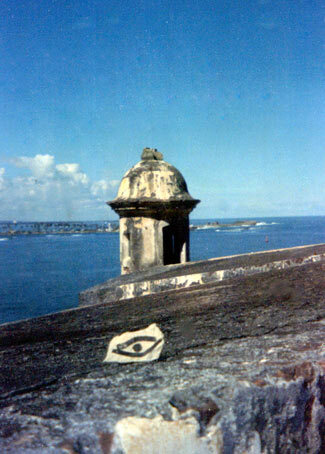 The stone rests on the almost 500 years old walls of El Morro on the north coast of the island Puerto Rico, in Old San Juan. El Morro is the largest Spanish fort in the New World and was begun in 1540 and finished 250 years later. Sir Francis Drake tried and failed to take the fort from Spain. 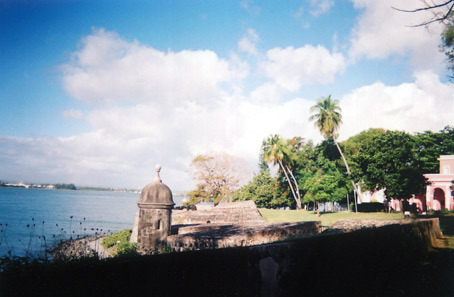 Many Dutch and English forces tried again and again to capture El Morro (and Puerto Rico) but always were defeated by the Spanish. Finally, in 1898, in the Spanish-American war, El Morro fell to the American Navy and Puerto Rico become an American protectorate. Puerto Rico has the only rain forest in North America and is an island of exotic and natural beauty, and offers travellers an unending variety of fascinating destinations around the island.